Is WordCamp worth your time? I present you with an unequivocal YES. Let me address the “NO” first. 1. People annoy you and provide only interruption; you like to write. Or code. Or develop. Alone. 3. You prefer to stick with what you know. Learning is for school children and people with no better distractions. 1. 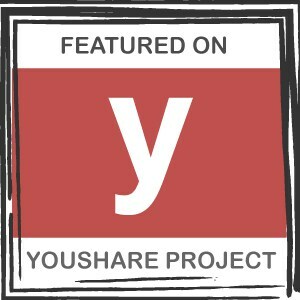 You enjoy spending time with like-minded, warm, engaging WordPress enthusiasts. 4. You love to write, or to develop, or to code. You want to do these things even better. Small improvements snowball to success. 6. You OWN the AfterParty dance floor. You DESTROY mechanical bull riding. You are UNRIVALED in your ability to watch people dance and ride mechanical bulls. *Availability of mechanical bull riding not guaranteed. I used Simplenote to record my thoughts upon arrival. No, they’re not paying me for the plug, but they should, because I can’t stop promoting this app. Simplenote is BEYOND AWESOME. Finally, I can enter my notes—verbally or in writing, via my phone or computer or other device—and then search my documents for anything I like. Nifty. I arrive, just on time, thanks to a faulty GPS that kept sending me back out to the main road. I sit, observing for a few moments as the bright sunshine warms me through the driver window. Clear blue skies, scattered clouds—this couldn’t be a prettier day. Bloggers, developers, coders and other WordPress Advocatenthusiasts emerge from vehicles around me. We are a diverse crowd, all colors and ages. A knot of middle-aged white women swarm past a pretty black girl. Her long curls bounce as she adjusts her leather bag. A couple of guys in hipster garb chat outside the door, puffing away at slim silver incarnations of the ubiquitous pipes of academia. I wonder if any of them, when alone, don vintage tweed jackets sporting leather elbow pads. Dressed in pink, a baby grins and drools from a kangaroo-style pack as her mother walks with easy rhythm. I turn toward the sound of a red Dodge truck. A young man, exuding clean-cut-country-boy vibes, climbs out. He doesn’t strike me as a techie or writer, but we don’t all have to look like librarians, right? A man I categorize (in error) as possibly Hawaiian passes me on the sidewalk. Something about him strikes me and I have an immediate hope we’ll be friends. Inside, I almost collide with a tall, dark haired teen. I recognize him as Nik, the youngest speaker on today’s roster. Foyer activity falls into the realm of controlled chaos. In spite of the last-minute withdrawal of three volunteers, organizers have the situation well in hand. I’m assigned to a hallway, directing traffic. Once the attendees are settled, I wander to the front table. One of the missing volunteers happens to be the photographer. I’m no professional, but I like to be behind a camera. Kimberly sends me to find Arnel, owner of the first Nikon. I’m happy to find that he’s Mr. He-Seems-Super-Interesting from the sidewalk. He is, in fact, a gold mine of information. I like him even better after he lets me abscond with his super-cool camera and lenses. I get a quick tutorial for each and then scoot along to find subjects. After helping distribute lunch, which is more fun than you’d think, I snap a few more shots, but Arnel needs his baby back. At loose ends and empty-handed, I make my way to the sponsor tables. Michael, with Semper Fi Web Design, is friendly and willing to answer my many questions. For some, this may seem ridiculous, but I just haven’t been able to grasp the necessity of owning a domain. WordPress.com has been fine; I have no complaints. Michael answers every question without rolling his eyes or indicating his comprehension of how deep my ignorance runs regarding domains (and pretty much everything else technical). He also never alludes to his position with the company. When he gives me information, he writes it on another individual’s business card. I have no idea he is the CEO until later, browsing the website. In addition to being full of great advice, Michael also has an excellent Nikon. He asks me to take a few photos for his group, then allows me to steal it for a while. Shayna turns out to be another great source of information, and she’s also quite funny. I’ve been waffling on whether to attend the afterparty, but since she’s going, I decide to join the fun. It’s the right choice for so many reasons. Conversation, food and people watching. Three of my favorite pastimes. I decline to ride but take inordinate pleasure in the mechanical bull tossing people. It’s almost embarrassing…until I realize that I’m not alone. “RIDE! RIDE! Hang on! Ohhhhhhhhhh…” The collective shouts encourage even more riders. As the line to ride dwindles, a live band gears up. Amid the noise, Shayna explains HTML and CSS. My translation: HTML puts words on a page. CSS makes them pretty. Now I get it! She also convinces me that I need at least a basic understanding of how to use them. Another attendee, Kate, suggests Codecademy, a free site that teaches the basics of coding, for free. Since returning to real life, I completed a few lessons and am writing this post in the HTML tab, learning what all these cool little symbols do. Yes, I’m a blossoming geek. Don’t hate. Thanks to all the great information and explanation from my new friends, I plan to migrate to a domain within the next few months. I understand that I should be able to do it without losing you, but you may have to sign up to follow again; we’ll see. I’m getting mixed messages on that one. Just thought I’d give a heads-up. 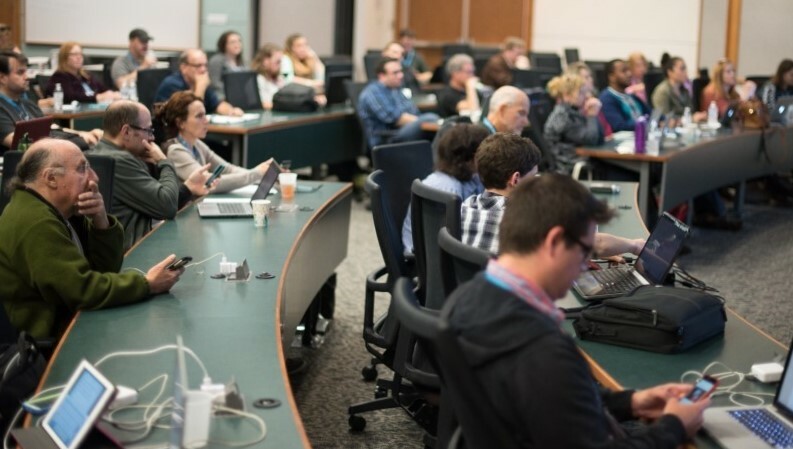 So, should you attend a WordCamp in your area? ABSOLUTELY. Unless, of course, you really hate having more fun than you can imagine with people who have a similar passion to your own. Also, if you don’t like making connections or learning, stay home. Otherwise, if one is nearby, ATTEND! If you’ve already attended or plan to do so, tell us about it! What did you love? Do you wish something had been different? Was there an epiphany? Dish, or you’ll be next to ride the mechanical bull. *About half the pictures haven’t yet been posted on the website; once they are, I’ll share. Posted on October 28, 2015, in Parent. Bookmark the permalink. 7 Comments. Thank you for the kind words. I enjoyed chatting with you, and I’m glad you had a great time at the inaugural WordCamp Hampton Roads. The camera you used was my Nikon D750. Unfortunately I left my lens bag in the hotel, and only brought my 50mm 1.4 lens, which is a great lens, but maybe not the greatest for a conference. You used it well though. I enjoyed going through your shots after WordCamp was over. Thanks so much for the great information! I wasn’t ready to buy in time to hit the B&H sale but found a few bundles on eBay that have 3 or 4 lenses with them, so I’m keeping an eye out. So, I signed up for Bluehost, and I think I installed WordPress. 🙂 I’m working on it now. This is actually kinda fun! Glad you enjoyed it! Not sure if the doubt comes from cost or location, but if it’s cost, they work with sponsors to keep the price low. This one was $20 for the day, which included lunch. I volunteered, so didn’t have to pay. If one comes up in your location and you can volunteer, it’s a good way to go as long as you don’t mind missing some of the sessions (and they work with you as much as possible so you can see the ones you want). I can’t help but agree with you on number one in the no section. Interrupting someone is extremely annoying to me. None the less, it looks like an interesting and fun event. This isn’t Adoption related but thought you may be interested.